Recently, a friend and I signed up for a series of workshops titled Color: Theory and Practice, hosted by the Berlin Drawing Room. The series is run by Katy Kirbach and is based on the work of Josef Albers. Specifically, his book, Interaction of Color. There are six workshops in the series, followed by a field trip. I found out about the Berlin Drawing Room after follow-spamming dozens of art-related pages on Facebook and sifting through the resulting newsfeed noise. Most of the workshop series the Berlin Drawing Room organizes (past and present) sound interesting, so I had to resist the temptation to sign up to more than one. But they do organize series on an ongoing basis, so hopefully, this is the first of many. 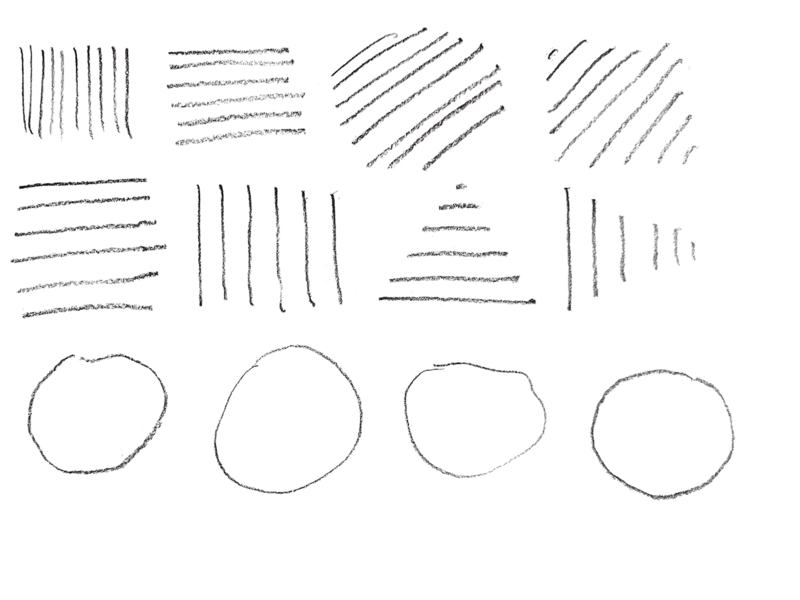 For the first exercise of project 0.1, I filled two pieces of paper with oval marks using first my right (dominant) hand and then my left hand. 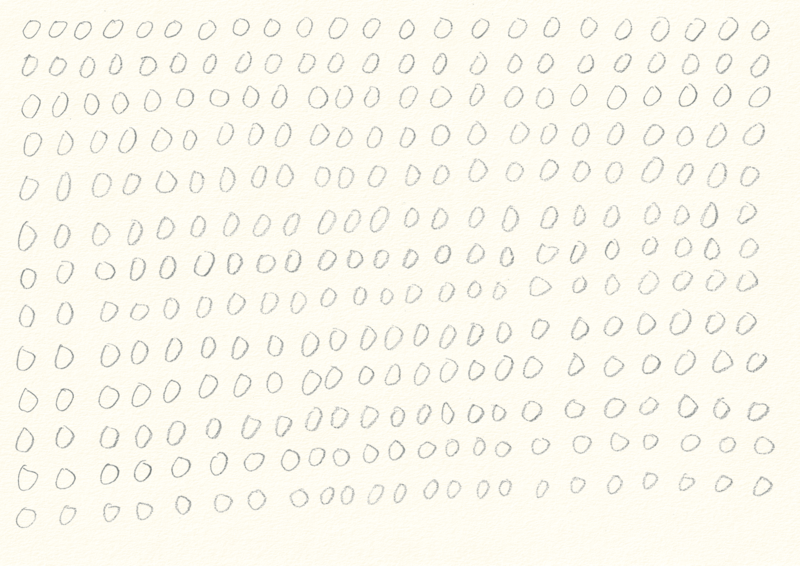 I then repeated this process, resulting in four pieces of paper filled with oval marks. 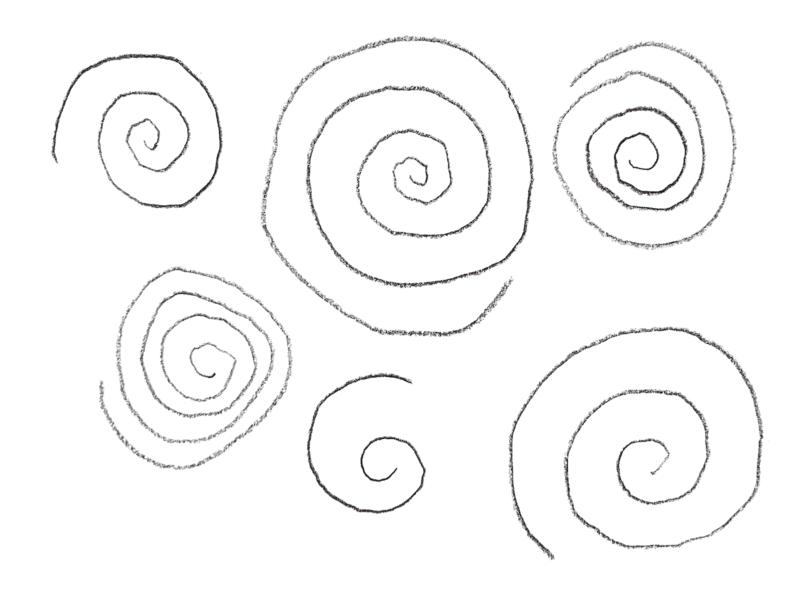 The first couple of ovals felt clumsy, regardless of which hand I was using. I felt like I hit the swing of things after about five or so. 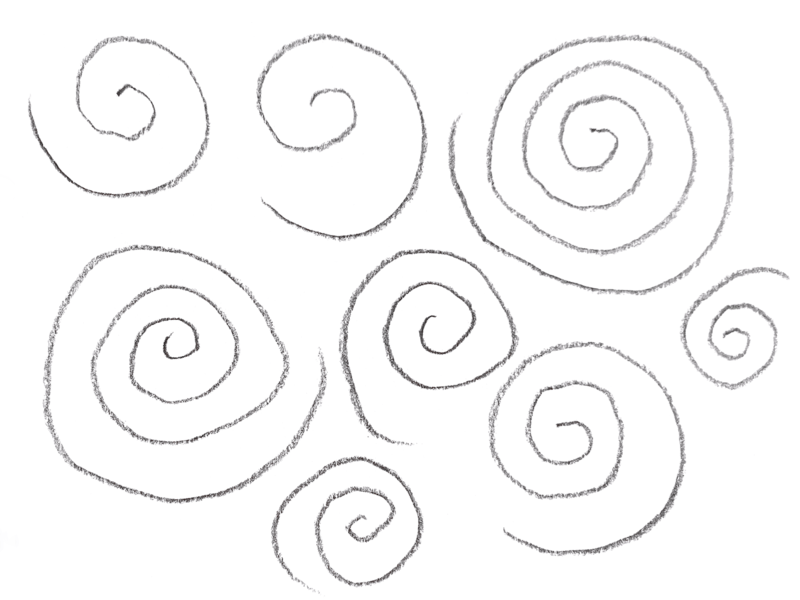 But by the time I get to the end of the line, I become lazy and the ovals distort. Inconsistencies in oval placement tend to get magnified with each new line and I had to make a conscious effort to counteract this. My attention wanders quite easily. I caught myself thinking about others matters multiple times and had to consciously bring my focus back to the exercise. 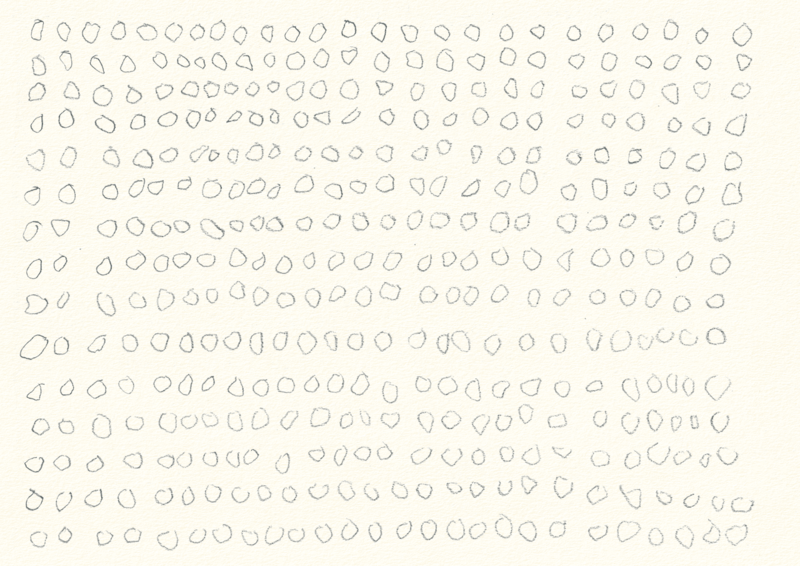 I feel that when I pay attention to the exercise, the ovals looked better—fewer wobbles, fewer variations in pressure, more complete ovals, and so on. When I was focusing on the exercise I found that either I would be paying attention to the line above which I was using as a placement guide, or I would be looking at the oval as I drew it. I used the same part of both hands (the side of my hand adjacent to my little finger) for resting on the paper. 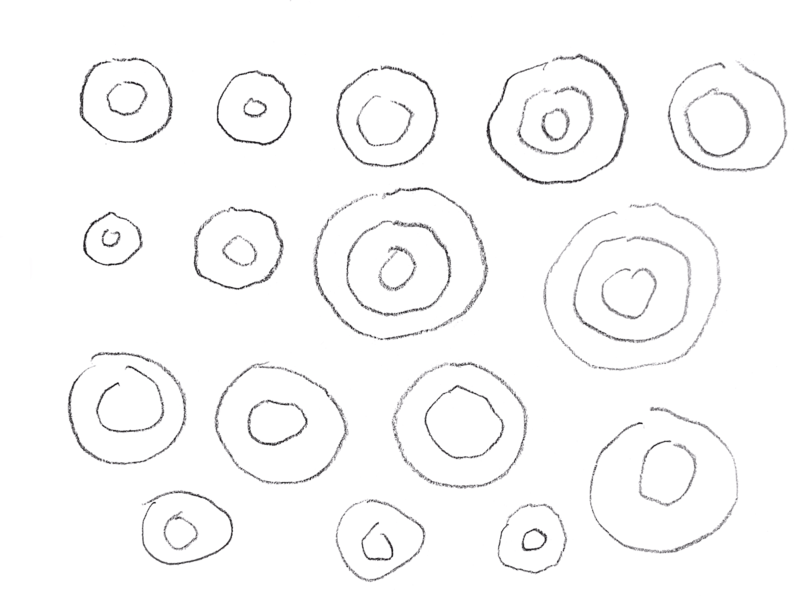 Using my right hand, I could speed up with relatively little impact on the quality of the ovals. But only to an extent, and only for a short period of time. 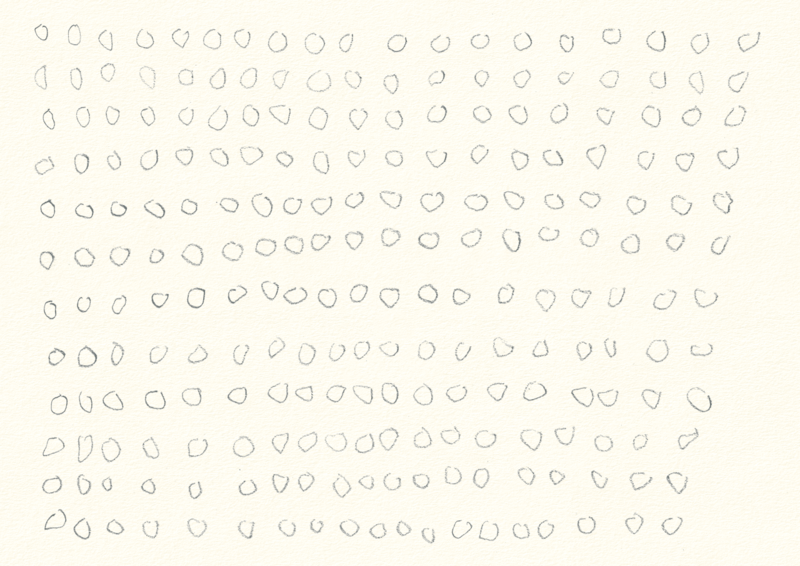 When I tried to keep this up, either the shape or the placement of the ovals would suffer. Drawing with my left hand was easier than I expected. 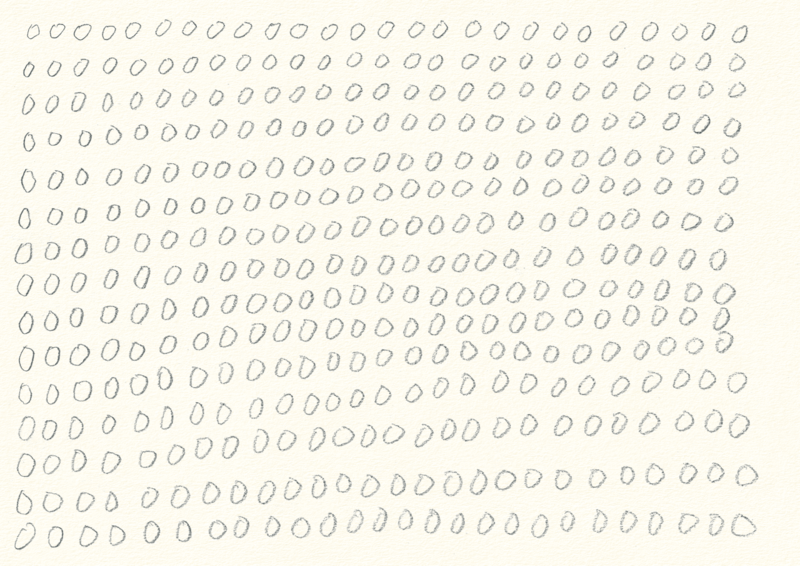 Using my left hand, the first few ovals of each line felt more difficult than the rest of the line. I think this might have something to do with the fact that I twizzled the pencil at the end of each line, making it sharp again. I feel like that sharpness of the line contributed to the perception that the ovals were harder to form, compared to the softer marks towards the end of each line. 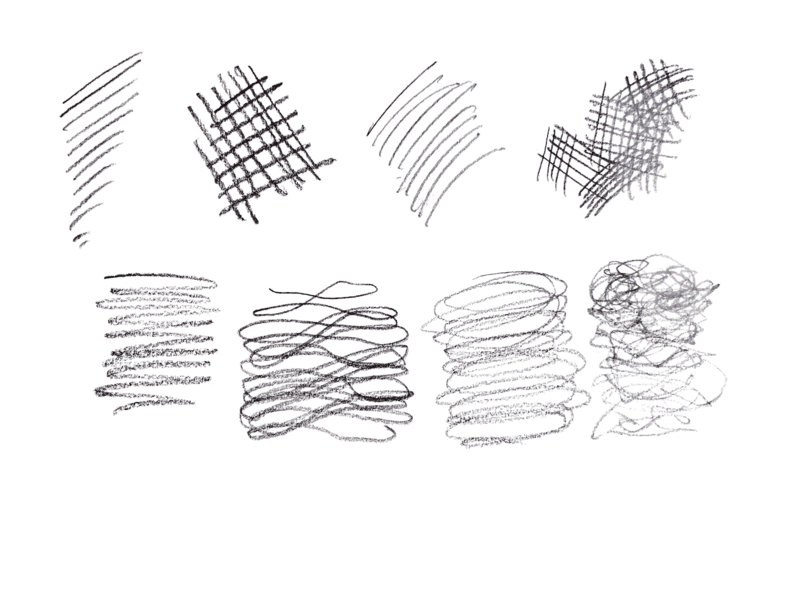 If I did this exercise again I would probably experiment with my pencil twizzling. Perhaps not twizzling at the end of each line, and seeing what difference that makes. Or perhaps twizzling the pencil halfway through the line, or something like that. Like a previous post, I am writing this retroactively. In fact, I have already put in quite a bit of work on the first project of this module. I have only just started keeping my learning log, so I think it’s okay to revise things a little to reflect how I believe I should have documented my progress. The purpose of part zero is to help you “loosen up” a little, and is for people who haven’t drawn for a while, i.e., me. A few more pages of scribbles. I’m still working through the start of my current exercise book. I’ve been having a rough time the past month or so, and my studies have suffered as a result. One of the things I’ve been struggling with has been my sketchbook practice. Or lack of it. For one reason or another, I have been feeling very avoidant about actually starting to use the sketchbooks I bought. I tried to get myself started by making my daily task as simple as possible. 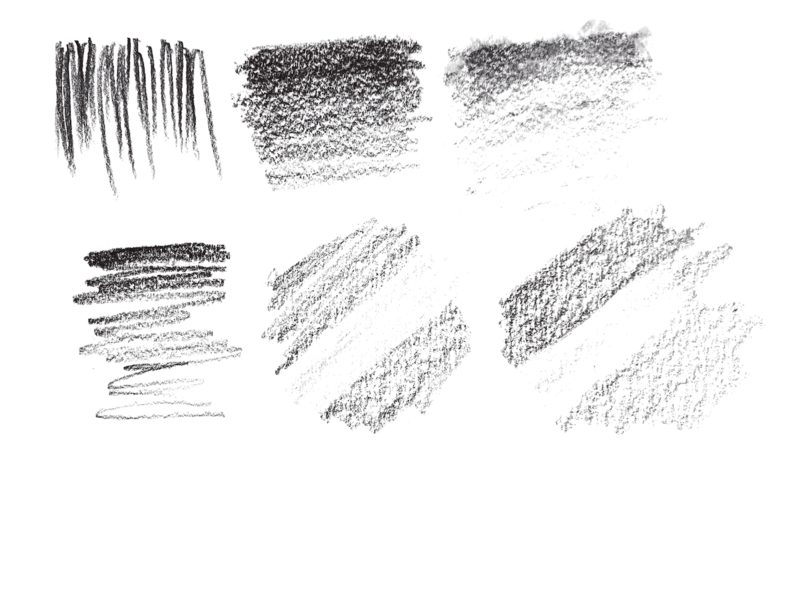 Specifically, I adjusted the task so that all I had to do was make a single mark in my sketchbook. I figured that this would help me work through the avoidance. Surprisingly, it took a week or more of avoiding this task until I finally did it. Yesterday. I took one of my sketchbooks, and I took a small book of drawing exercises. And I made a couple of marks in my sketchbook. When I started this assignment, I significantly underestimated how much time it is going to take to get familiar with academic research methods and do more than a cursory amount of research. For this reason, I have decided to lift my self-imposed deadline of February 27. Instead, I am going to start working on my drawing foundations course immediately. I will continue working on this assignment in parallel. I now hope to finish by April 29. This should give me plenty of time to get comfortable doing research and using my learning log. Additionally, I was initially considering Arthur Rackham as my primary research topic. But while using his name to help me get familiar with the various online libraries available, I learned that Rackham is connected to both the fairy painting and art nouveau movements, both of which seem like good candidates for my primary research topic. Since researching nearby libraries, I asked for recommendations on Twitter and was pointed to the Berlin State Library. So, on the weekend, I went in person and registered there as well as at Humboldt University Library, which has its foreign languages branch (where many of their English language books are located) right around the corner! Between them, I think this will be enough for the time being. Though I may come back to my other options later. Humboldt University Library requires that I be on site to access services such as JSTOR. This is an access issue for me because my cognitive disabilities and mental illnesses would make it difficult to visit a library on a regular basis. And in any case, I tend to work during the evenings, and on weekends. And the foreign languages branch is closed during both of these times. Unfortunately, the University for the Creative Arts Library (which also provides access to services such as JSTOR) is only available for students studying at the undergraduate level or higher. I am currently a foundations student, so for the time being, I have to look elsewhere. Fortunately, the Berlin State Library appears to offer a full range of online academic research services that I can use from home, including JSTOR. My emotional health hasn’t been too good recently, and I was feeling anxious and avoidant anticipating having to explain to a stranger who may not speak English very well why some of my paperwork still uses my old name or why I selected a feminine title. Thankfully, this didn’t happen. And I know that registering at a couple of libraries sounds like a trifling matter, but I am proud of myself for having completed this necessary task.